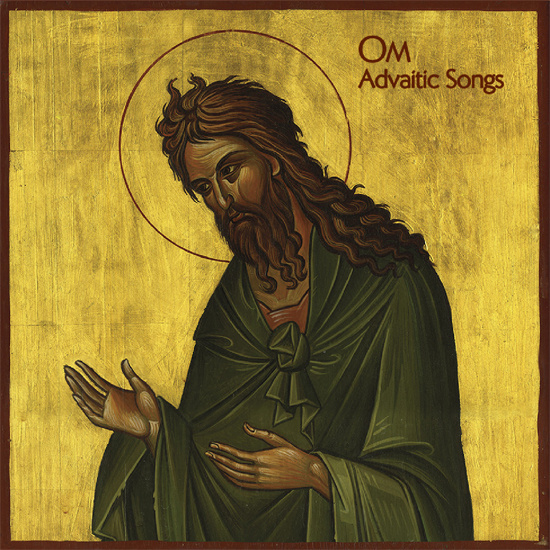 OM will return this June with their new record, Advaitic Songs in July, the follow-up to 2009’s glorious experience God is Good. The duo of bassist Al Cisneros and drummer Emil Amos will release the five song effort through Drag City, presumably furthering the band’s utterly hypnotic, meandering and meditative doom elegies. Advaitic Songs will be Amos’ second record with OM following the departure of long time drummer, and Sleep drummer, Chris Haikus. Check out the artwork below.